From what is probably his obituary in the Lincoln Journal Star: Web Edition Articles (NE) – Friday, June 4, 2010: "Burial will be in the Sutton Cemetery with military honors by the American Legion Argonne Post #61, Sutton." Died June 2, 2010, age 88, in Henderson, NE. He had basic at Gunter Field, AL and graduated from Napier, AL as F.O. T-69793. Michael Sullivan was his instructor. He had Basic at Gunter in AT-6’s. He graduated from Napier Field, S/N: O-842657. He served WWII in the U.S.A. He flew P-51’s, F-86’s, P-102’s, P-104’s and B-25’s. After 24 years he retired as a LTC. Then flew some charter for Piper Aircraft in Kansas City, MO. He had basic at Gunter Field, AL. Graduated Napier, AL. S/N: O-842658. From his obituary [Register-News (Mount Vernon, IL) – Monday, October 12, 2009]: "He retired from the United States Air Force after 26 years as a lieutenant colonel. He received his bachelor’s degree from California State University in Sacramento." Born in Wayne County on Dec. 21, 1920. Married his wife Ingeborg in Berlin, Germany, on July 1, 1954. Died Oct. 8, 2009, in South Sacramento, Calif. He had Basic at Macon, GA and Advanced at Turner Field, GA. He washed out 9 days prior to graduation. He became a gunner. Tom Stubbs was his Instructor. He had Basic at Macon and graduated from Turner Field, GA. He flew B-25’s in the 5th Air Force. Then he flew jets in Korea. He retired as a Captain in 1965. Enlisted 21 Sep 1943. Released 23 Feb 1946, per Ancestry.com. U.S., Department of Veterans Affairs BIRLS Death File, 1850-2010 [database on-line]. Probably born 1921 in New York, per 1940 census. Was living in Teaneck Township, Bergen, NJ in 1940. On Feb 15, 1945, while at advanced training, he was involved in a landing accident in a AT-6 (42-85488) at Cochran Field, Macon, Ga. He was a Student Officer (1st Lt.) at Douglas. He graduated from Napier. S/N: O-674112. He may have seen service in bombers in Europe. He had basic at Gunter Field, AL and graduated from Napier Fld, AL S/N: T-69799. Charles Lamb was his instructor. He graduated from Napier Field, AL. S/N: O-842660. 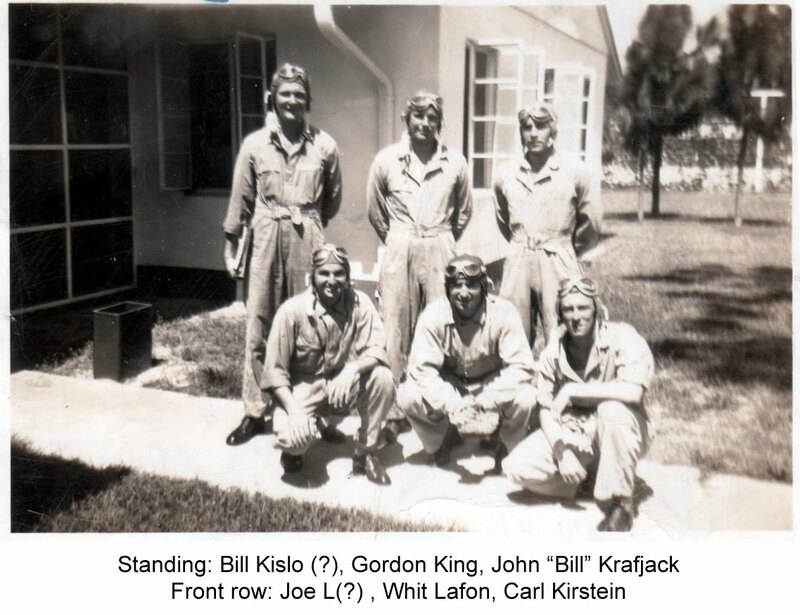 After the War he was an Air traffic Controller at Newark, N.J. 1st Lt.
Joe Cotton and Walt Kuehner were his Instructors. He was in the last class and had a lot of delay. He was discharged Feb. 1, 1946 as a Private. Graduated Napier Field, AL. S/N: T-69805. From his obituary [Star Democrat, The (Easton, MD) – Thursday, May 18, 2006]: "He served our country with the U.S. Air Force for 26 years." He graduated and was a multi-engine Flight Instructor. Graduated Napier Field, AL S/N: O-842666. Roommate of Crowl. He went into Single Engine. From his obituary [Chicago Tribune (IL) – Sunday, May 11, 2008]: "was a resident of Park Ridge, Illinois for over 25 years. He was a veteran of the U.S. Army Air Force. He retired in 1984 as an Advertising Executive. Surviving are his wife of 59 years, Georganne G. Cole… ." Died May 8, 2008, Age 85. Frank Hoffstatter was his instructor. Graduated from Napier Field, AL. S/N: T-69812. Earl Hansel was his instructor. He had Basic at Gunter Fld, AL. and graduated from Napier Fld, AL. S/N: O-842670. The war was soon over, he stayed in the Reserve and made Capt. 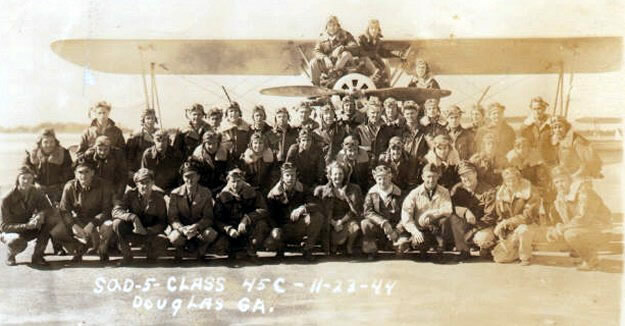 He had basic at Gunter Field, AL. and graduated from Napier Fld, AL. S/N:T-69813. He had Basic at Gunter Field, AL and graduated from Napier Field, AL. S/N: T-69917. He continued to fly for pleasure until 1970. He had basic at Gunter Field, AL and graduated from Napier Field, AL. S/N: T-69818. Roommate of Crowl, went into Single Engine. Charles Haaf was his instructor at Douglas. He had Basic at Gunter Fld, AL and graduated from Napier Fld, AL. S/N: O-842678 flying AT-6’s. The war ended not long after he graduated and he was discharged while at Brooks Field, TX. He washed out at Douglas. Sam still has a private pilot license and a Piper Archer airplane. Graduated from Napier Fld, AL. S/N: O-842861. He became a navigator. Click here for his picture with his crew. Kurtis graduated from Napier Fld, AL. S/N: T-69823. He was checked out on P-51’s and P-40’s and was based at Brooks Field, TX for a while. Earl Hester was his instructor. He graduated from Napier Field, AL. 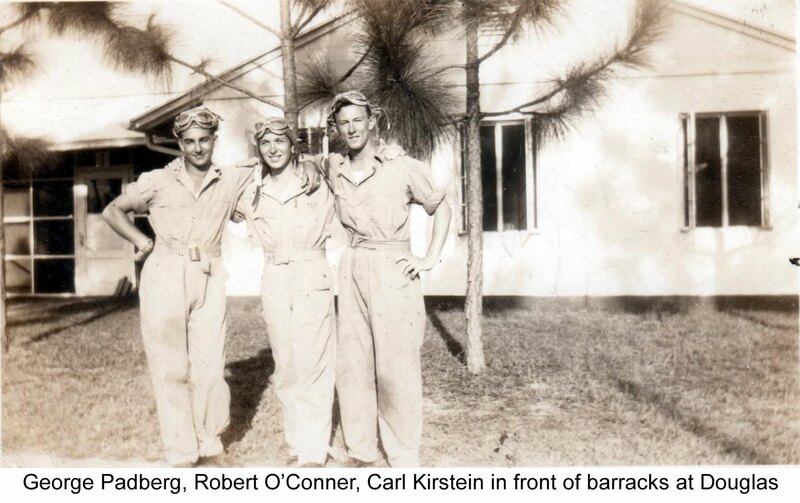 S/n: S/N: O-842688 and served in the U.S. and was discharged in 1945. He was then in the Reserve and left them as a 1st Lt.
From what is probably his obituary [Providence Journal (RI) – Friday, December 14, 2007]: "In 1950, he received a B.S. in Architecture from the Rhode Island School of Design. During WWII, he served as an officer in the Army Air Corps. He was a member of the RISD faculty and practiced architecture for many years." From what is probably his obituary [Modesto Bee, The (CA) – Saturday, August 24, 2002]: "Richard Stephen Ingham, 74, of Turlock. He worked for the Long Beach Shipyard from 1963-89. He belonged to Cortez Buddhist Church. He was a member of the Cortez Japanese American Citizens League and Cortez Shinwa Kai. He served in the Army Air Corps from 1942-48, then in the Air Force from 1950-52." 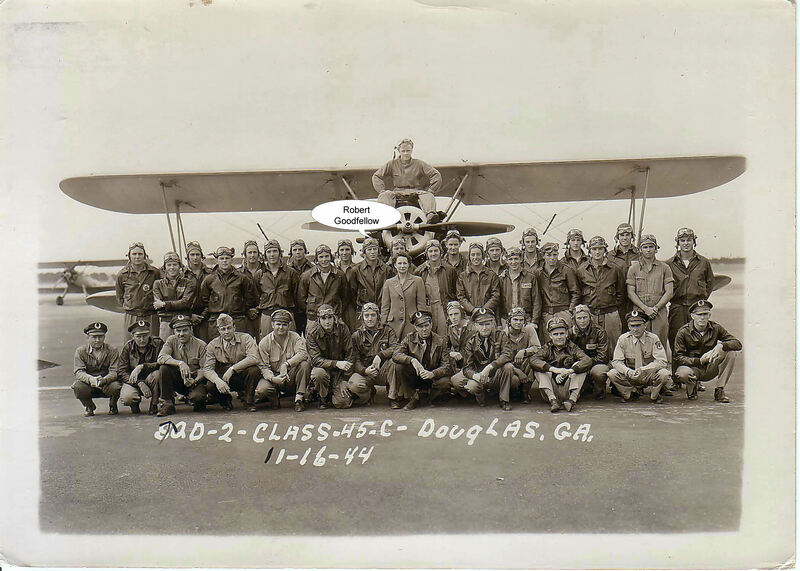 He had basic at Gunter Field, AL and graduated from Turner Field, GA where he flew B-25’s. Then he went into Troop Carrier Command flying C-46’s. About that time the war was over and he was discharged. Gordon Bellah was his instructor at Douglas. He graduated and was a Flight Instructor on single and multi-engine aircraft. He was also rated for instrument flight. Click here for his picture with his roommates. Student Officer: 1st Lt. Red Copenhaver was his instructor. He washed out in Basic. Then took Bombardier training. He served in China, Burma and India theatre. He was released from service in October 1945. Smallwood was his instructor at Douglas. He was an Air Force veteran of the Korean Conflict and did 2 tours of duty with the Army in Vietnam. Odem, Texas. Born Jun. 12, 1925. Died May 9, 1999. 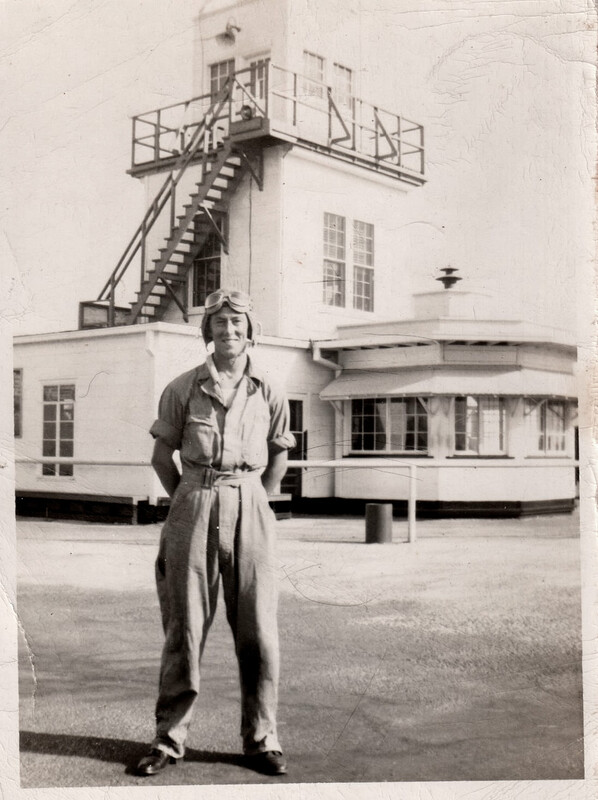 Click here to see his picture next to the Douglas Flight Tower. Click here for his picture with his PT-17. Click here for his picture with his friends in front of the barracks. Cliff Barbarow was his instructor. He had basic at Gunter Fld, AL and graduated Napier Fld, AL. S/N: O-842688. Norman Page was his instructor. He had basic at Gunter Fld, AL. and graduated from Napier Fld, AL. S/N: O-842691. From his obituary [Saratogian, The (Saratoga Springs, NY) – Thursday, August 25, 2005]: "Mr. Lehner was a graduate of St. John’s University Law School. He was admitted to the bar in 1943. 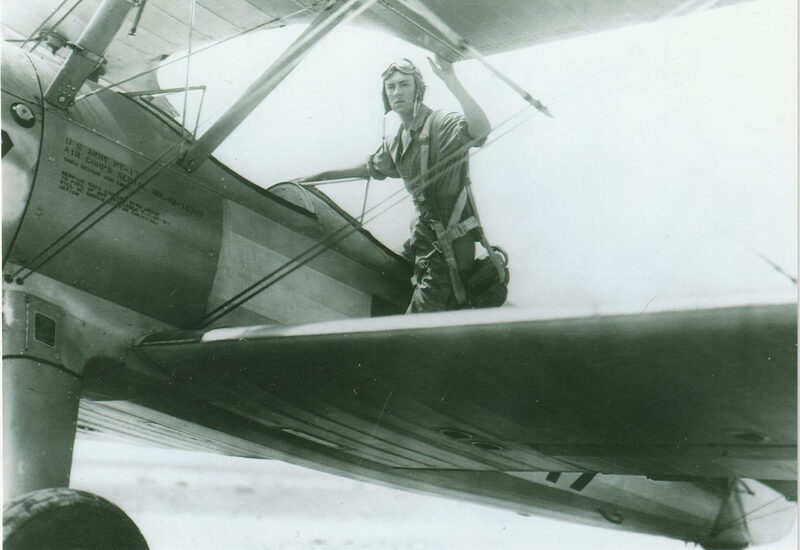 He served in the Army Air Corps during World War II as a pilot until 1945. He then remained in the Army Reserve, retiring as a major in 1971. He was employed at the Hartford Insurance Co. until his retirement in 1993." He graduated from Napier Field, AL. S/N: T-69829. His gravestone reads "Aviation Cadet." See FindAGrave. He went to Montgomery, AL for basic and to Turner Fld, GA for advanced graduating in May 1945. He was assigned there as an instructor for American, French and English cadets. He was separated in Dec. 1945. Graduated from Napier Fld, AL. S/N: T-69830. He stayed in the Air Force and made it his career. He was into missiles in California. After retiring as a major, he worked in maintenance at a Naval Air station. Had basic at Gunter Field, AL and graduated from Napier Field, AL. S/N: O-842697. He had basic at Gunter Fld, AL and graduated from Napier Fld, AL. S/N: T-69831. He was assigned to P-51’s but the war ended before he was able to be checked out in them. 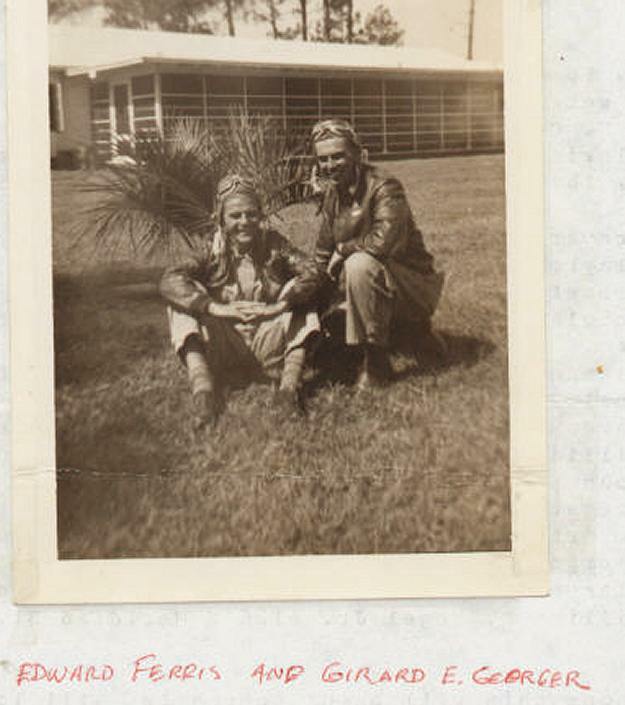 Graduated as a navigator at Selman Field, a navigator school located near Monroe, Louisiana on January 27, 1945, S/N: O-2082078. Carl Webbers was his instructor. He had Basic at Gunter Fld, AL and graduated from Napier Field, AL. S/N: O-842699. He served in the States only. He had basic at Gunter Field, AL and graduated from Napier Field, AL. S/N: O-842700. James Smallwood was his instructor at Douglas. He graduated from Napier Field, AL as a Flight Officer. The war was over shortly after he graduated. Graduated from Napier Fld, AL S/N: T-69834. He had basic at Gunter Field, AL and graduated from Napier Field, AL. S/N: T-92835. From his obituary [State, The (Columbia, SC) – Saturday, December 29, 2010]: After his service during WWII as an Army Air Corps pilot, Bennie went on earn a BS in Business Administration from the University of South Carolina… He then accepted employment with CT Harris & Sons where he was a sales representative of Fisher Imaging Radiology Equipment. He retired after 25 years of service. Burial in Fort Jackson National Cemetery." Died December 26, 2010, age 86. Glenn Harrington was his instructor. He had basic at Gunter Fld, AL and graduated from Napier Fld, AL. S/N: T-69837. He was an enlisted pilot in the Army prior to signing up as a Cadet. Gordon Hellah was his instructor at Douglas. Robert graduated from Napier Field, AL. S/N: O-842727. The war was over before he was sent overseas. After the war he was in Research and Development of airborne equipment. Graduated from Napier Field, AL S/N: O-842704. Merrill Nelson was his instructor. He graduated from Turner Field, GA where he flew B-25’s. He was sent to a base to make up a crew, but the Bomb was dropped on Japan. He was soon discharged. 2nd Lt. He had basic at Gunter Field, AL and graduated from Napier Field, AL. S/N: T-69840. From his obituary [Knoxville News Sentinel (TN) – Thursday, September 15, 2011]: "He served in the United States military from 1941 until 1981 serving in WWII, Korean War, and Vietnam War. He was shot down during the Korean Conflict in an 80 Spitfire and miraculously survived. The rest of his United States Military career was spent as a JAG officer. He was very passionate about jet fighters and Corvettes. …burial East Tennessee Veterans Cemetery, Governor John Sevier location, with full military honors." Died September 11, 2011, Age 88. Frank Hoffstatter was his Instructor at Douglas. He went to Basic at Gunter Field, AL. From what may be his obituary [Pharos-Tribune (Logansport, IN) – Thursday, March 10, 2011]: "Born Aug. 25, 1928, in Sciotoville, Ohio. Died March 8, 2011. …Married Jan. 5, 1968, in Logansport, to Anna May Smith. George retired from Rockwell International and the U.S. Air Force, where he had served his country for 23 years. He was a member of VFW Post 3790 and American Legion Post 60." He had basic at Gunter Field, AL and graduated from Napier Field, AL. S/N: T-69856.